I always found this a strange place to put a castle. 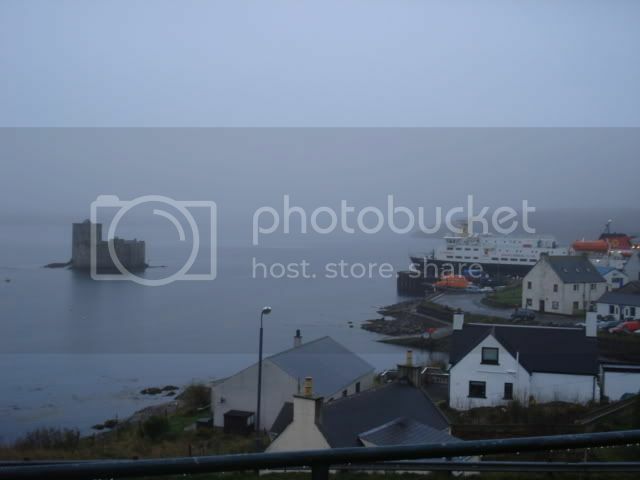 Castlebay, with the Clansman at the pier. To infinity & beyond, & even at that do one!!! Maybe the water wuzna there when twas beilt. 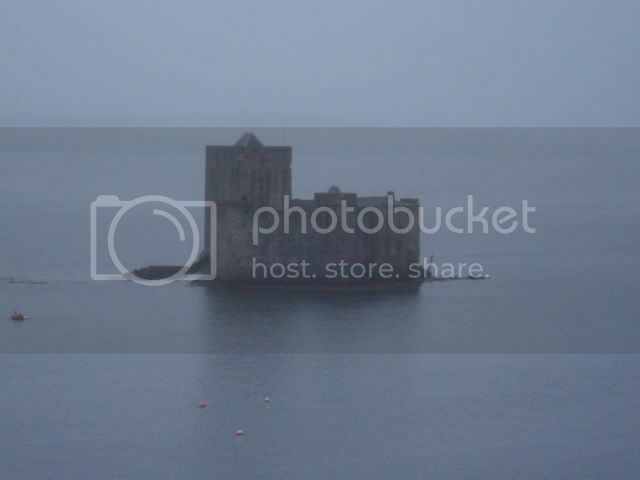 They caad the toon Castlebay, so they needed tae get a castle, and kwik. They beelt it when the tide wuz oot, an when the beeldin wuz dun an the castle got foak tae wett in it, they needed tae defend it. The army poored in a pile o them, an when it wuz hoorafa hot an sticky weather, the sojers cood step oot the front dorr an go for a dook.